Develop the mindset of a top pickup artist and start dating the women you really want with this mind penetrating, powerful subliminal mp3 album. Do you want freedom and choice with women? Do you want to date beautiful women with "higher value"? Do you want to be able to approach and pickup any woman you choose? This does not have to be a fantasy! This is the reality that the world's top pickup artists live, and the reason they can do this is because of their attitude and their belief-set about themselves and about women. These top pickup artists have a lot of the same shared beliefs. Beliefs that they deserve to date and sleep with beautiful women, that women find them attractive and are always interested in them. Instead of feeling nervous or experiencing approach anxiety they get excited around women and enjoy approaching, meeting and talking to new women. Their entire belief system is centered around a solid foundation of confidence, and a belief that they are skilled with women and that they can pickup any woman they choose. These beliefs are acquired from YEARS of experience and 1000s of interactions with women, as they learn, their self beliefs evolve and core areas of their personality develop. This is natural growth, and growth which anyone can achieve. 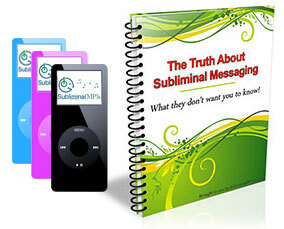 Our subliminal mp3s simply aims to speed up this learning curve, and help you to grow at a faster rate; by implementing the core elements of the pickup artist mindset within you. All that separates you from these successful pickup artists, and from being successful with women is within your mind - in your core self beliefs and patterns of thinking about yourself and about women. If you really shared the same self beliefs as these professional pickup artists then you too would be massively successful with women. You will believe in yourself on a deep level, and your core levels of confidence will be inflated - soon you will feel confident, naturally, all the time around women. You will fully believe that you deserve to date and sleep with beautiful women. You will believe that you are attractive and that women always find you attractive. Your nerves around women will dissolve, you will feel "at home" talking to beautiful women. It will feel natural, and will just be something that you naturally do. You will develop a solid belief that you can date any woman you choose, and that you have the skills, confidence, and personality to pickup any woman. This album is focused on implanting these core beliefs directly within your subconscious mind. You will notice subtle changes in your outlook within a few days, then once they really start to build they will become part of your personality, and within a few weeks they will be just a natural part of who you are. Download this album today to eliminate the subconscious blockages and negative beliefs which are holding you back and start getting the success with women you really deserve!